If there is nothing more touching in the Gospel than the way God treats his reconciled enemies — that is, converted sinners. He is not content to wipe away the stain of their sins. It is easy for his infinite goodness to prevent our sins from hurting us; he also wants them to profit us. He bring forth so much good from them that we are constrained to bless our faults and to cry out with the Church, “O happy fault! O felix culpa!” His graces struggle against our sins for the mastery, and it pleases him, as St. Paul said, that his “grace abound” in excess of our malice (cf. Rom. 5:20). Moreover, he receives reconciled sinners with so much love that the most perfect innocence would seem to have grounds for complaint, or at least for jealousy. One of his sheep wanders off, and all those who remain seem much less dear to him than the one gone astray; his mercy is more tender toward the prodigal son than toward the elder brother who had always been faithful. If this is the case, then should we say that repentant sinners are more worthy than those who have not sinned, or justice reestablished is preferable to innocence preserved? No, we must not doubt that innocence is always best. Although we appreciate health more when it is newly restored, we do not fail to value a strong constitution over the benefit of returning health. And although it is true that our hearts are moved by the unlooked-for gift of a fine day in winter, we do not fail to prefer the constant clemency of a milder season. So, if we may regard the Savior’s sentiments through a human lens, he may more tenderly caress newly converted sinners — his new conquests — but he loves the just with greater ardor, for they are his old friends. Jesus Christ, the Son of God, is holiness itself, and although he is pleased to see at his feet the sinner who has returned to the path of righteousness, he nevertheless loves with a stronger love the innocent one who has never strayed. The innocent one approaches nearer to him and imitates him more perfectly, and so he honors him with a closer familiarity. However much beauty his eyes may see in the tears of a penitent, it can never equal the chaste attraction of an ever-faithful holiness. These are the sentiments of Jesus according to his divine nature, but he took on other ones for the love of us when he became our Savior. God prefers the innocent, but, let us rejoice: the merciful Savior came to seek out the guilty. He lives only for sinners, because it is to sinners that he was sent. Listen to how he explains his mission: “I came not to call the righteous” (Matt. 9:13), because, even though they may be the most worthy of my affection, my commission does not extend to them. As Savior, I must seek those who are lost; as Physician, those who are ill; as Redeemer, those who are captives. In this, he is like a physician: as a man, he is more pleased to live among the healthy, but as a physician he prefers to care for the sick. And so this good Doctor, as Son of God prefers the innocent, but as Savior seeks out the guilty. 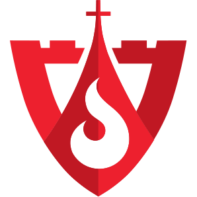 Here is the mystery illuminated by a holy and evangelical doctrine. It is full of consolation for sinners such as we are, but it also honors the holy and perpetual innocence of Mary. For if it is true that the Son of God loves innocence so well, could it be that he would find none at all upon the earth? Shall he not have the satisfaction of seeing someone like unto himself, or who at least approaches his purity from afar? Must Jesus, the Innocent One, be always among sinners, without ever having the consolation of meeting an unstained soul? And who would that be, if not his holy Mother? Yes, let this merciful Savior, who has taken upon himself all of our guilt, spend his life running after sinners; let him go and seek them in every corner of Palestine; but let him find in his own home and under his own roof what will satisfy his eyes with the steady and lasting beauty of incorruptible holiness! It is true that this charitable Savior does not cast off sinners, and far from sending them away from his presence, he does not disdain to call them the most honored members of his kingdom. He set the leadership of his flock in the hands of Peter, who denied him; he placed at the head of his Evangelists Matthew, who was a tax collector; he made the first of his preachers Paul, who had persecuted him. These are not innocent men; these are converted sinners whom he raised to the highest ranks. Yet you should not therefore believe that he would choose his holy Mother from the same lot. There must be a great difference between her and the others. What will that difference be? He chose Peter, Matthew, and Paul for us, but he chose Mary for himself. For us: “whether Paul or Apollos or Cephas . . . all are yours” (cf. 1 Cor. 3:22); for himself: “My beloved is mine,” and I am hers (cf. Song of Sol. 2:16). Those whom he called for others, he drew forth from sin, so that they might the better proclaim his mercy. His plan was to give hope to those souls beaten down by sin. Who could more effectively preach divine mercy than those who were themselves its illustrious examples? Who else could have said with greater effect, “The saying is sure and worthy of full acceptance, that Christ Jesus came into the world to save sinners,” than a St. Paul, who was able to add, “[a]nd I am the foremost of sinners” (1 Tim. 1:15)? Yet if he treated in this way those whom he called for the sake of us sinners, we must not think that he did the same for the dear creature, the extraordinary creature, the unique and privileged creature whom he made for himself, whom he chose to be his Mother. In his apostles and ministers, he brought about what would be most useful for the salvation of all, but in his holy Mother, he did what was sweetest, most glorious, and most satisfying for himself, and, consequently, he made Mary to be innocent. “My beloved is mine,” and I am hers. The gift of innocence could not be distributed with prodigality among fallen men, but it is no excess for him to give it to his Mother, and it would have been ungenerous to have withheld it. No, my Savior will not do that. We see already shining forth from the newborn Mary the innocence of Jesus Christ, as a crown upon her head. Let us honor this new ray that her Son has caused to break forth upon her. “[T]he night is far gone, the day is at hand” (Rom. 13:12). Jesus will soon bring about that day by his blessed presence. O happy day, O cloudless day, O day that the innocence of the divine Jesus will make so serene and pure: when will you come to light up the world? He comes; let us rejoice. You already see the dawn breaking in the birth of the holy Virgin. Let us run with joy to see the first light of this new day. We will see shining the sweet light of an unstained purity. We must not persuade ourselves that to distinguish Mary from Jesus we must take away her innocence and leave it to her Son alone. To tell the morning from midday, there is no need to fill the air with storms or cover the sky with clouds: it suffices that the rays of the morn­ing sun should be weaker and their light less brilliant. To distinguish Mary from Jesus, there is no need to put sin into the mix. It suffices that her innocence be a weaker light. That light belongs to Jesus by right, but to Mary by privilege; to Jesus by nature, to Mary by grace and fa­vor. We honor the source in Jesus, and in Mary a flowing forth from the source. What should console us is that this flowing forth of innocence shines for the benefit of us poor sinners. Innocence normally reproaches the guilty for their evil lives and seems to pronounce condemnation upon them. Yet it is not so with Mary. Her innocence is favorable to us. And why? Because it is only a flowing forth of the innocence of the Savior Jesus. The innocence of Jesus is the life and salvation of sinners, and so the innocence of the Blessed Virgin serves to obtain pardon for sinners. Let us look upon this holy and innocent creature as the sure support for our misery and go and wash our sins in the bright light of her incorruptible purity. This article is adapted from a chapter in Meditations on Mary by Christopher O. Blum and Bishop Jacques-Bénigne Bossuet which is available at Sophia Institute Press. 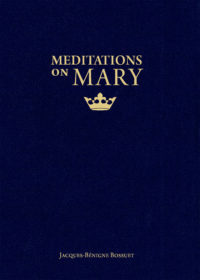 Art for this post on why Jesus chose the Blessed Virgin for himself: Cover of Meditations on Mary used with permission. Madonna and Child, Bernardino Luini, 1522-1525 own work, Wikimedia Commons. To read more about Mary and the virtues she emulated, click HERE.